Snapchat has become crazy popular because of the fun filters and effects you can put on photos. The photo stirred up controversy, with people assuming she was making fun of African Americans, and disrespecting the month as well as everything they have been through in the context of US history. Whether or not she meant something offensive by it, there is a clear controversy. 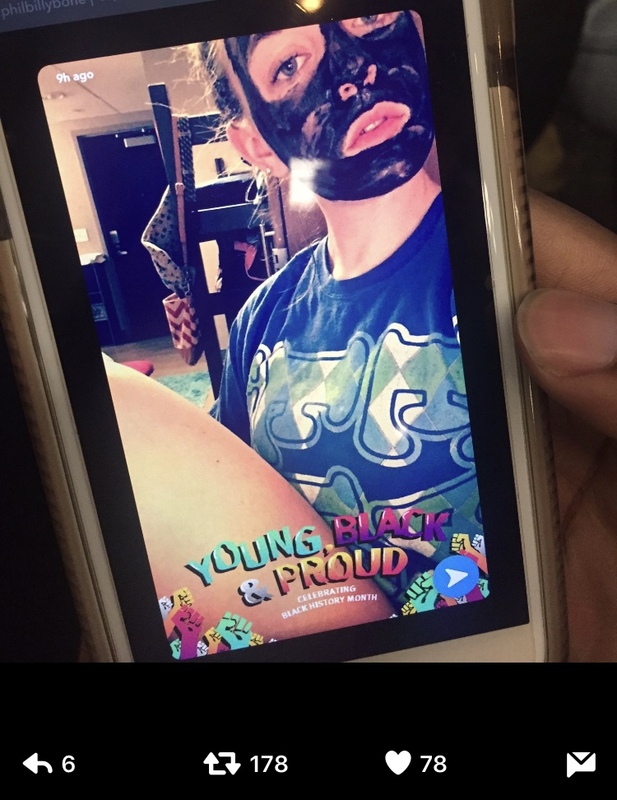 Please do not use the black history Snapchat filter as a joke. It is not funny & it is not okay. It's disrespectful to our culture. Stop it.